Kim Wilson is Professor of Landscape Architecture. Formerly, she was Professor of Landscape Architecture at Purdue University Department of Horticulture and Landscape Architecture, College of Agriculture. Since 1999, she has taught community planning and design and urban design studios, as well as landscape representation using technology. While at Purdue Wilson received thirteen teaching awards; thirteen of her students’ received awards for undergraduate research and design, as well as an ASLA Student Award for Collaboration; conducted over 17 Service-Learning projects; and received more than a million dollars in internal and external funding to support both teaching and research initiatives. Prior to joining academia, Professor Wilson worked professionally for more than twenty-five years for nationally and internationally recognized firms including Sasaki Associates, Inc, JJR-Smith Group, and Pollack Design Associates. Her professional experience focused on site design and planning for urban waterfronts, light rail transit corridors and other infrastructure projects, large land holdings and parks, and open spaces. She also has been involved in the preparation of campus master plans, urban districts, and environmentally sensitive ecosystems. Wilson’s experience encompasses all phases of planning, design, and implementation, including initial master planning and conceptual design, and detailed design, documentation, and construction administration. 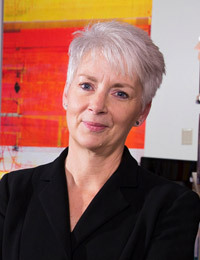 The completion of over 40 design projects resulting in 12 built projects (5 of which received national design awards) along with the variety of professional organizational experiences ranging from a two-person office to a large multi-disciplinary corporate firm, establish the foundation from which she shares her knowledge and experiences in preparing students for success in the workplace. Professor Wilson’s scholarship is focused on pedagogical approaches to improve teaching and learning, include Service-Learning, experiential learning, cooperative learning on teams, student-centered learning, and the role of assessment in learning. Seven objectives of Professor Wilson’s research are: maximizing cooperative learning on teams; improving problem-based Service-Learning both locally and internationally in developing countries; learning on Interdisciplinary teams; journaling in learning and assessment; the role of technology in teaching and learning; modeling affective behavior for success in the workplace and community; and exploring the synergy between discovery, engagement and learning that service-learning offers. 2007 The Outstanding Counselor in the Department of Horticulture and Landscape Architecture, Purdue University. 2006 Named Fellow, Purdue University Teaching Academy, Purdue University. 2006 Charles B. Murphy Outstanding Undergraduate Teaching Award, Purdue University. 2006 North American Colleges & Teachers of Agriculture (NACTA) Teaching Award. 2006 Richard L. Kohl’s Outstanding Undergraduate Teacher, College of Agriculture. 2006 Brian Douglas Hiltunen Faculty Award for Outstanding Contribution to the Scholarship of Engagement, Campus Compact. 2005,06 The Outstanding Teacher in the Department of Horticulture and Landscape Architecture, Purdue University. 2005,06 The Outstanding Teacher in Landscape Architecture, Department of Horticulture and Landscape Architecture, Purdue University. 2005 Honor Award in Student Collaboration - Faculty Mentor, American Society of Landscape Architectures, Student Awards. 2004 Community of Service-Learning Faculty Fellow (charter member), Purdue University. 2003 Honor Award, American Society of Landscape Architecture, Boston Chapter, Wheeling Waterfront Project, Wheeling, WV. Lead designer while at Sasaki Associates. 2002 Honor Award, American Society of Landscape Architecture, Colorado Chapter, Speer/Sixth/Lincoln Tunnel and Park Project. Sasaki Associates in partnership with Civitas. 2002 Teacher for Tomorrow, Teaching Academy, Purdue University. 2001 The Outstanding Teacher in Landscape Architecture, Department of Horticulture and Landscape Architecture, Purdue University. 1999 Sigma Lambda Alpha, the international honor society of landscape architecture. 1988 Presidential Award, American Society of Landscape Architecture, Veterans Administration National Cemetery Project. Design team member at Johnson, Johnson, and Roy/Inc. 1987 Merit Award, American Society of Landscape Architecture, Ann Arbor Corridor Study. Pollack Design Associates. 1985 Merit Award, American Society of Landscape Architecture, Fuller-Glenn Road Realignment Project. Pollack Design Associates. "Studio culture: fostering change using technology and pedagogy." Wilson, K. L. and Reiner, C.
"Self and peer assessment: student-centered learning and individual accountability in teams"
"Pedagogy in landscape architecture: implications for investigating learning styles in a changing world"
Wilson, K. L. and Helgesen, M.
"Teams for learning and performance: criteria and methodology used for instructor-assigned teams"